Consumer misunderstanding, swayed media reporting, government regulations, low agriculture representation in lawmaking, exports and market fluctuation. That’s a long list, and each aspect has impact on cattle ranchers’ bottom line. They’re all on top of the rancher’s main profession: breeding, birthing, raising from calves to slaughter plant, cattle that are tasty and nutritious demanded by housewives and their families. The professional side, the management of raising cattle, ranchers know how to do. That long list is not their forte, so to speak. Fortunately, the National Cattlemen’s Beef Association helps the industry with those often difficult dilemmas. Tracy Brunner serves as president of the most influential assisting organization. What better leader for the cattle industry than one who lives it from every perspective? Headquartered near Ramona in Dickinson County, Brunner is a fourth-generation cattleman while his children, nieces and nephews are the fifth generation of the family operation. With his immediate family, plus his brothers and their families, the Brunners’ Cow Camp Ranches includes every aspect of the business. That’s cow-calf, seed stock, backgrounding, grazing, feedlot finishing, grid marketing, much more, and well beyond. On horseback ready for work on the ranch, a slide picture show included the speaker with his partner-brothers, and another of his wife, children and grandchildren, all key elements of their successful beef production. Brunner verified his background emphatic of working for all betterment of all cattlemen when reviewing “What the NCBA is Keeping its Eye On” at the Beef producers Information Seminar in Emporia. He was featured speaker for the breakfast program hosted by WIBW through coordination of the longtime farm director Kelly Lenz and kickoff for the 30th annual Flint Hills Beef Fest. Nationwide publication headlines have wrongly informed readers about meat, according to Brunner, showing examples such as “Meat is linked to higher cancer risk”. Because the majority of consumers are far from the land, with little realization of what the industry is, they are easily mislead to believe those stories. “Our job as leaders of the beef industry is to correct that misinformation,” Brunner insisted. The NCBA works with state beef councils and the Beef Checkoff in global marketing and research, with direct efforts toward consumer marketing and market research, the speaker said. “Through NCBA’s work with nutritionists, the American Journal of Clinical Nutrition reported studies verifying that lean beef included in heart-healthy diet reduces cholesterol 10 percent,” Brunner said. Additional family and home publications then printed features noting that higher beef consumption increases protein, vitamins, and minerals. The Beef Checkoff campaign, “It’s What’s for Dinner,” promoted a “kid-friendly fare” verifying that beef’s protein boosts growing bodies. NCBA efforts to debunk myths about beef have emphasized regard for animal welfare including use of antibiotics for best care of animals. “Our survival depends on doing what’s right for our cattle,” Brunner said. Pointing out that the word “sustainability” has received considerable media coverage; Brunner explained that the Beef Checkoff launched a comprehensive life cycle assessment to quantify environmental, social and economic aspects of beef industry sustainability. Follow-up to the study, efforts have included increased use of precision farming techniques, higher crop yields, improved cattle genetics, health and nutrition, and more bio-gas capture and conversion. Top NCBA priorities this year include passage of the Trans-Pacific Partnership, positive guidance for Environmental Protection Agency regulations, watchful eye on foreign animal diseases, Endangered Species Act reform and market volatility. 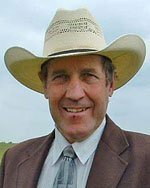 “Cattlemen support open markets, level playing fields and science based standards in international trade,” Brunner said. Work is continuing to develop integrated domestic-foreign trade policy to encourage reciprocity, elimination of unfair trade restrictions and movement toward private enterprise and free markets. Regulations involving Waters of the U.S., ozone regulations, and Resource Conservation and Recovery Act are being closely monitored by beef leaders. Japan had been the largest export market for U.S. beef, but a single case of BSE, commonly referred to as “mad cow disease,” took that to zero in 2004. “Again imports of beef are increasing to Japan, due to NCBA leadership, but there is a strong competition from Australia,” Brunner reported. “Importation of Brazilian and Argentinian beef is opposed not only on the basis of trade but on the basis of animal health concerns. No trade is worth jeopardizing our herd health,” Brunner said. Environmental groups use the Endangered Species Act as a weapon against ranchers, Brunner stated. “Cattlemen bear the brunt of severe land and resource restriction and countless lawsuits brought by environmentalists funded by taxpayer dollars,” Brunner informed. Extreme week-to-week price swings in cash markets, combined with equal volatility in the futures market has made marketing decisions difficult to impossible for U.S. cattle producers, especially feeder cattle. “The NCBA is working to help resolve these issues,” Brunner assured.